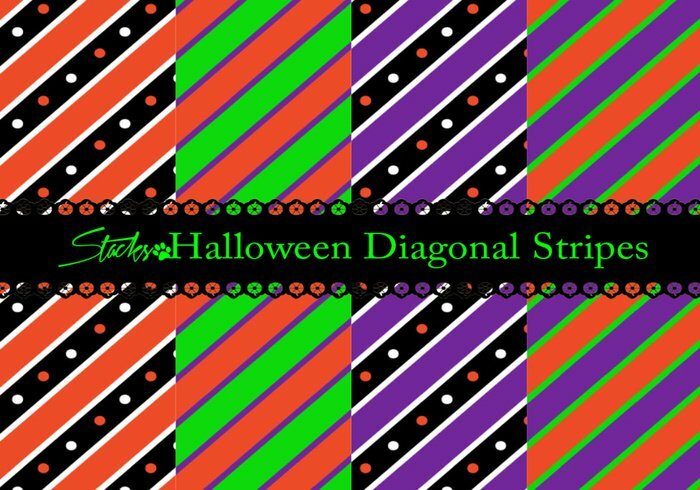 Here are 36 different diagonal stripe patterns designs in familiar Halloween colors--orange, black, purple, neon green. Some have polka dots, while others are more plain. They coordinate with several other Halloween sets I have uploaded to Brusheezy. This set includes a pattern file with all 36 designs and a high resolution .png of each design.